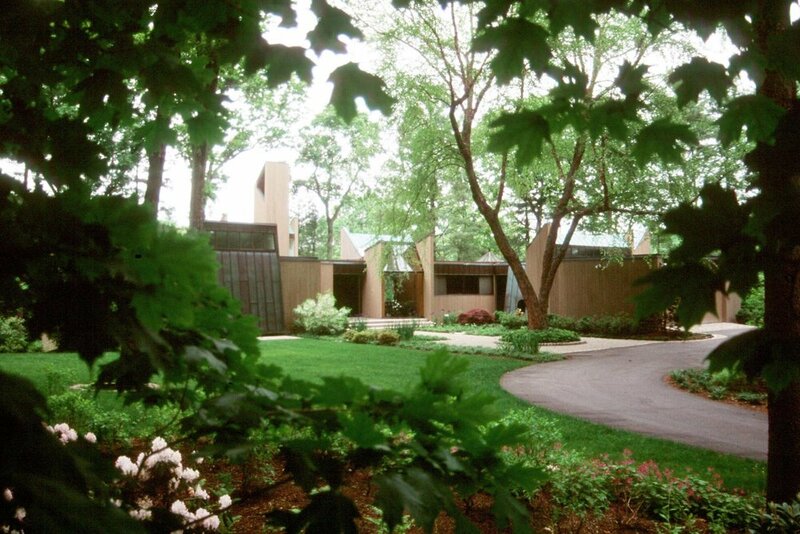 The landscape and woodland of this contemporary home designed and built by a noted architect was left by heirs to become overgrown with invasive plants and the river bank eroded and exposed. New owners challenged us to restore the provenance of the landscape where views from the two-story glass façade at the bend in the river are stunning. 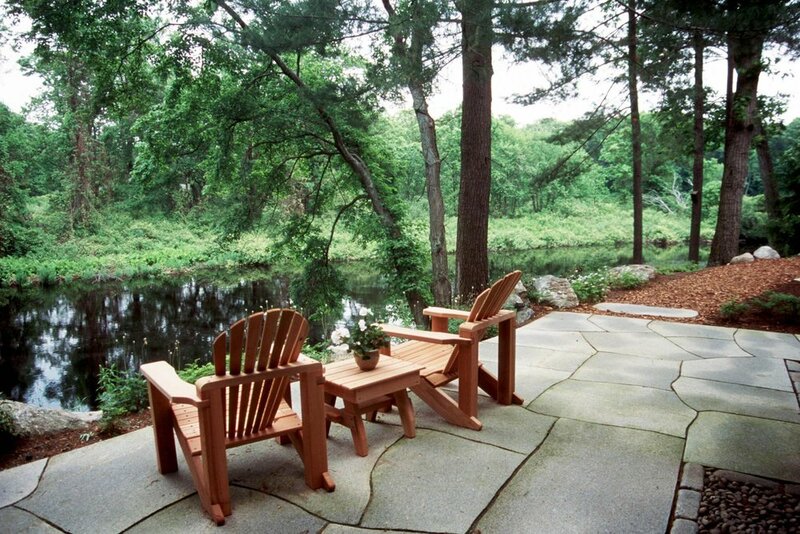 We worked under the aegis of the local conservation commission to develop erosion control measures at the river bank, and designed a walkout terrace next to the house inspired by the river forms with a pattern of large granite flagstones emulating frozen plates of ice observed in the winter. Paths around the house and down the bank on one side have viewing platforms to pause and enjoy different vector views at each turn. Custom designed copper light cylinders at the top of one bank illuminate the steps but also become sculpture on an axial view from a long central corridor of the house. Seasonal native plantings layered throughout the site were inspired by neighboring river and woodland species, and several ornamentals were introduced near the entry garden.